We are working at full throttle to make the finest Potassium Chloride available to the desired destination, anywhere across the country and abroad. 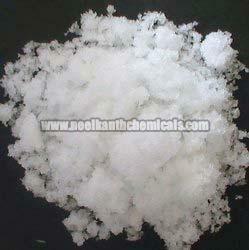 We are reckoned among the premier Manufacturers, Exporters, and Suppliers of Potassium Chloride. The chemical’s quality is best taken care of by our team of hawk-eyed quality controllers. And its composition is ensured to meet the desired one. We offer it in varying grades: industrial grade, IP grade, and food grade.